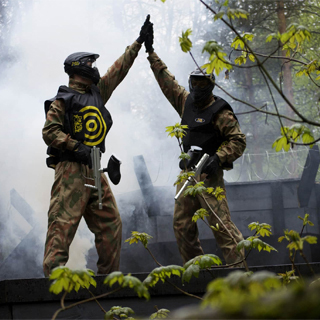 Crash through the undergrowth, dodge exploding paintballs, hide in bunkers and spy on enemies from on high...rekindle that true spirit of adventure in EXTREME paintballing action with Delta Force Paintball! 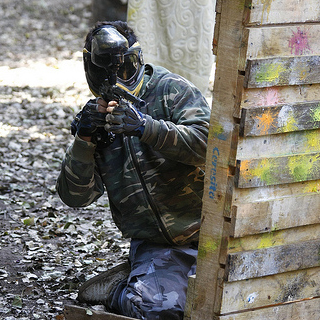 Challenge yourself to a full day of paintballing warfare, with 600 paintballs included per person. The day starts at 9:15am and continues right through to 4pm. You’ll get to play 6 exciting war games in the morning, and 6 in the afternoon. Optional lunch is provided (at additional cost). Protective kit and expert instruction included. Players must be over 18 to take part in adult paintballing. Price is for 2 adults. Additional paintballs may be purchased if you run out. 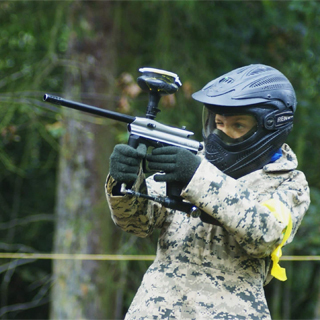 Delta Force Paintball has two locations: Killruddery House & Gardens, Southern Cross Rd, Bray, Co. Wicklow and Deerpark Road, Kilwaughter, Belfast, BT40 2PW. They are open year-round, 7 days a week, subject to availability. Advanced booking is required. 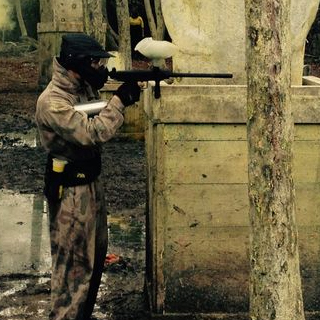 Delta Force Paintball is open 9am - 4pm, all year round, subject to advance booking and minimum numbers. 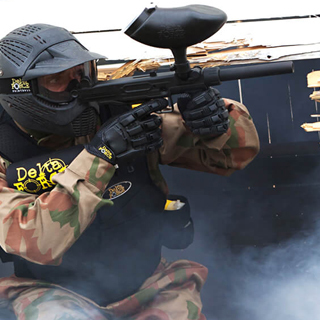 Delta Force Paintball offers some of the best paintball facilities and exciting game scenarios in Europe. They operate from 2 state-of-the-art paintball locations in Ireland - Killruddery House & Gardens in Co. Wicklow and Deerpark Road, Kilwaughter, Belfast. Whether you need a corporate day organised or an all-inclusive special offer, Delta Force Paintball can tailor a day of paintballing in Dublin to meet your needs. They have special packages available for school groups, birthday parties, corporate groups, stag and hen parties and individual visits. If you're looking for an affordable, easily accessible and truly memorable paintball day, look no further than Delta Force Paintball. With over 4 million players passing through their gates already, it's fair to say they are Europe's number one choice when it comes to hosting paintball events.